Share your music, your talents, your creative inspirations. Melody Fusion gives you tools to let people know what you're working on, where they can hear you perform, and get into what it is that makes you tick. It's a great way to get your music out there and let it be heard in an environment that encourages exploration, learning and a love of music. Keep your fans up-to-date on your gigs, creative works, and much more. 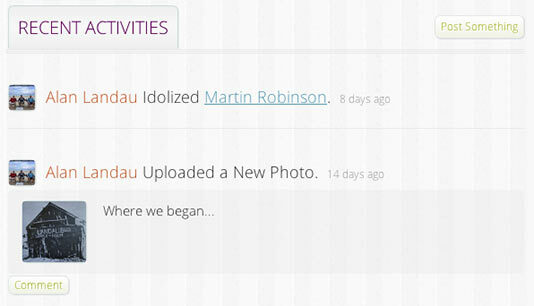 Your fans can keep track of your latest news and announcements, and anything else you want to keep them updated on. It's a great way to keep your fans involved and engaged with your creations.